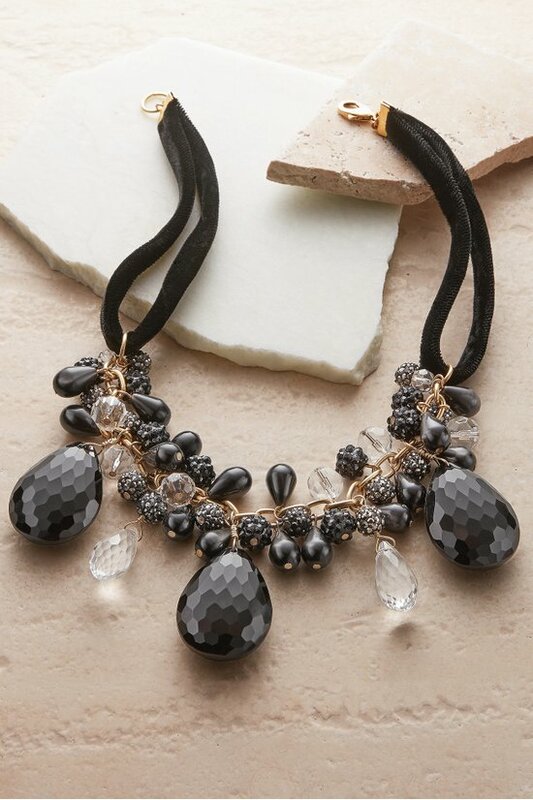 More-is-more necklaces are trending and this handcrafted design is perfect proof. It's rich with radiant black and crystal beads and briolettes on a golden chain suspended from a soft black velvet rope. Sure to add brilliance to your holiday or everyday style.